blesses you and your family with great love. Cheongju Catholic School Foundation was founded in the rubbles of the Korean War, with the support of an American Maryknoll priest (Joseph Wilbur). St. Mary’s School for the Blind and Sacred Heart School for the Deaf were founded in 1955, while in recent years, Holy Spirit School for the Severely Handicapped in Cheongju was acquired in 2001. Maegoe Middle School and Maegoe High School were founded in 1953 to educate children in the rural areas of Gamgok, the birthplace of faith in Cheongju Diocese. In celebration of its fortieth year in 1998, Cheongju Diocese founded Yangeob High School, the first Catholic alternative educational institution in Korea for at-risk children. 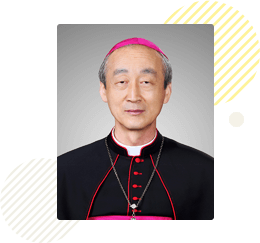 The founding spirit of the school was inspired by the love of our good shepherd Jesus and the divinity of Thomas Choi Yang-eob (1821-1861), who is the second ordained priest in Korea. The school set a lofty goal of providing loving education as an alternative for addressing problems with the public education system in Korea. Yangeob High School is another great gift from God to address the situation of the times. Providing an alternative to the public education, the founders of Yangeob established the goal of nurturing children of God who elevate their hearts with the love of Jesus and democratic citizens leading the future of Korea. Yangeob High School has become the leading the field of alternative education in Korea, providing various activities for nurturing creativity and good characters, which motivate the students to seek knowledge and learn effectively. Our curriculum and educational philosophy are trusted by many students and parents from around the world who elevate the renown of Yangeob High School by choosing to study here. Founded with the devoted love of God, Yangeob High School was made possible with the help of numerous people who wish for the children of God to live according to His will. I take this opportunity to thank our supporters as well. My prayers are with our school, and in the hopes that Yangeob leads the way to a new alternative educational movement, I send abundant love of God.